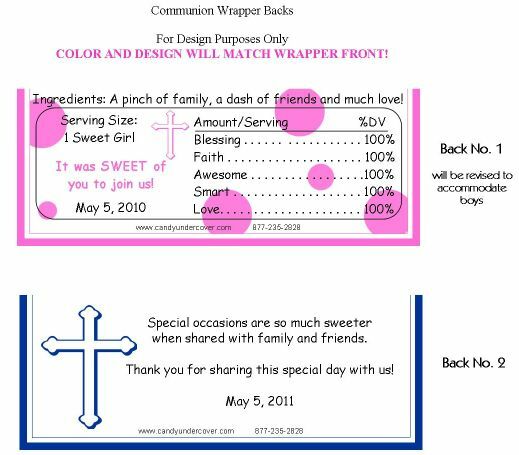 My First Holy Communion Pink Cross Candy Bar Wrappers are just stunning! Simply stated with the ever so popular colors of pink and brown. 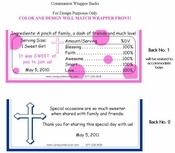 A symbol of this very auspicious day, complete with your Daughters name and date of Communion, this Communion Party Favor will delight your guests and look amazing on your party tables!